The LaserJet P1005: It's small, it's affordable, and it's from HP. Looking for a laser printer that meets both your budget and space requirements without compromising quality? Have it all with the HP LaserJet P1005 Printer—at an incredibly low price. Get the performance and reliability that is just right for your small business or personal needs with a 266 MHz processor, 2 MB of memory, and speeds up to 15 pages per minute (ppm). Print bold, crisp text and sharper images with new HP spherical toner and a redesigned, intelligent cartridge. 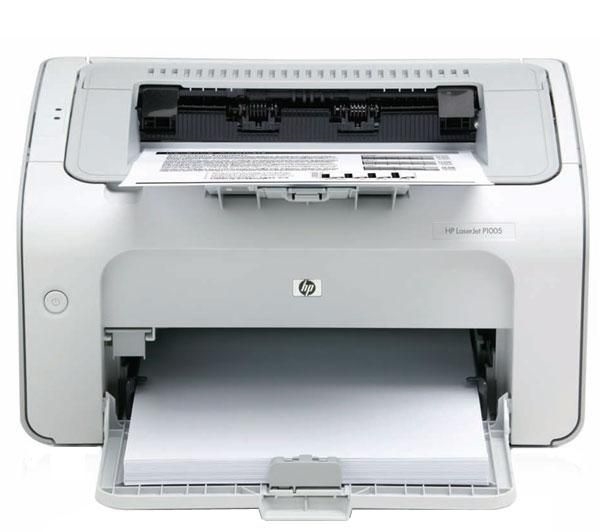 The LaserJet P1005: It's small, it's affordable, and it's from HP. (H X W X D) Unit 7.6" x 13.7" x 8.8"